There is not enough singing during grilling and that is why you need the Spatula-La. 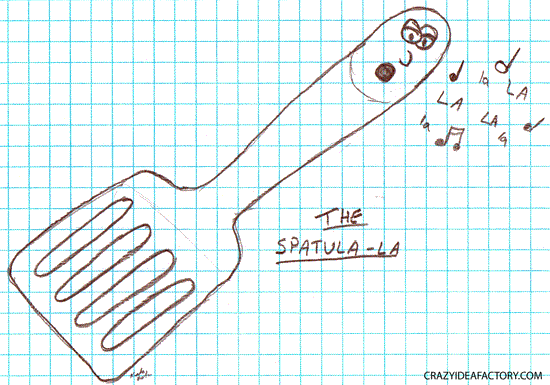 The Spatula-La is the singing spatula. It sings as it flips burgers, it sings as it flips potatoes, it even sings as it flips chicken. The only time it doesn’t sing is when it flips onions, it gets just a little too teary eyed to sing.